Mega Power Star Ram Charan has been busy with a bunch of interviews for news and print media along with other cast and crew of his forthcoming release Vinaya Vidheya Rama. 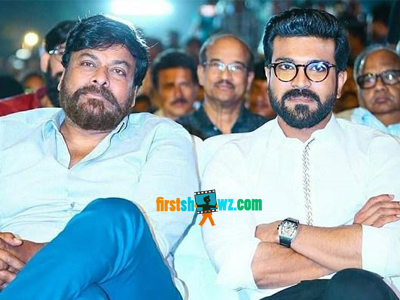 During one of his interviews, Ram Charan has confirmed Chiranjeevi's upcoming movies. Chiranjeevi is currently busy with the shooting schedules of Sye Raa which is being directed by Surender Reddy and produced by Ram Charan on Konidela Productions banner. This dream project of Chiranjeevi will be wrapped up in two months, and the Mega Star has recently announced his film under Trivikram Srinivas direction to be produced by DVV Danayya under DVV Entertainments banner. Besides this movie, Ram Charan confirmed that Chiranjeevi will team up with director Koratala Siva, and it'll be made on Konidela Productions banner. More details on the respective films are awaited though as Chiranjeevi is only concentrating on Sye Raa presently.